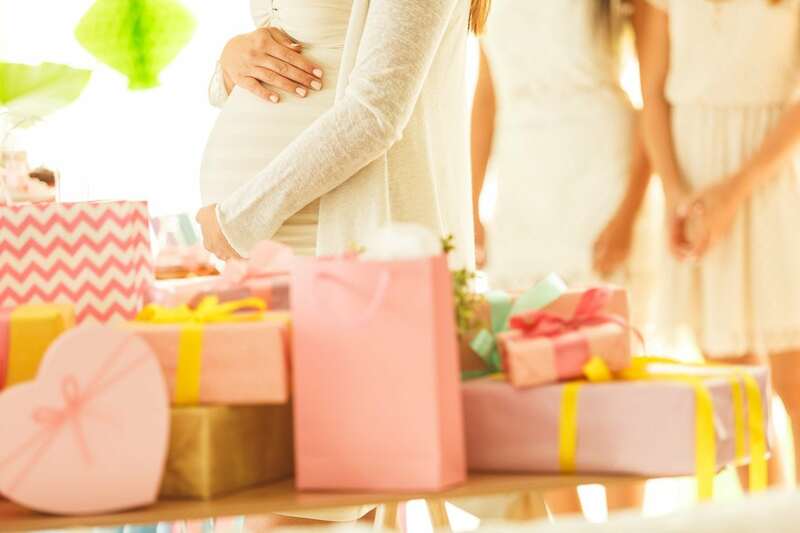 Picking the perfect baby shower gift can be tough. 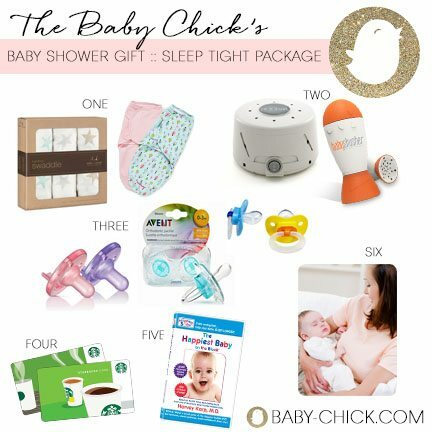 Of course it’s nice to gift the expectant mama the things she has registered for (things that she will actually need and use), but if you’re also wanting to get her a little something different, something unique and something great, you’ve come to the right place! 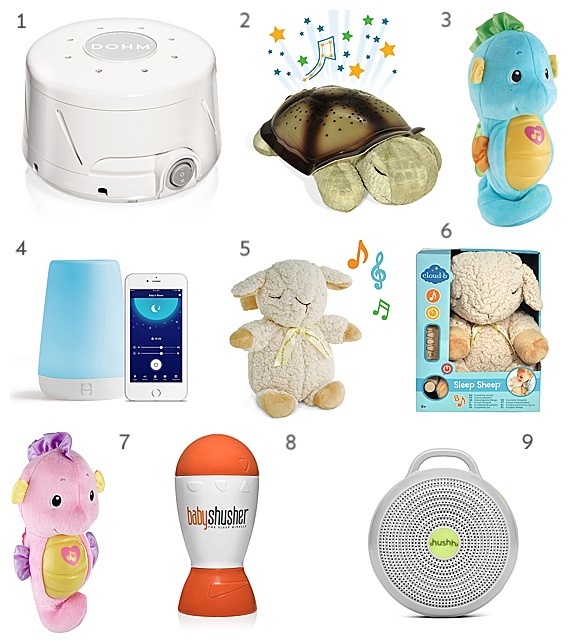 I’ve put together my favorite unique baby shower gift ideas so you can get your soon-to-be mommy friend something cool, interesting, and useful that will receive all of those “ooo’s” and “aahh’s” from the guests. Expecting parents don’t really think too much about how little sleep they are going to be getting…for the next few years. Having a quick go-to item that can help their newborn sleep is a God-send! Any of the items above are wonderful options. When you have a newborn and you’re focusing on everything that your baby needs, it can be tough to remember to take care of yourself. This is why I love the Duo Diary. It allows you to monitor your postpartum health and wellness while you care for your new baby. You can track all of your baby’s feedings including breastfeeding, bottle, formula, and pumping; monitor behaviors, patterns, sleep, diapers, and more on one side of the diary. On the other side, it helps remind you to care for yourself with a food journal; track water intake, sleep, and exercise, plus keep notes on how you are feeling mentally and physically postpartum. This is a fabulous to gift to give any expectant mom whether it’s their first baby or tenth. makes changing a crib easier than ever! With their two parts, simply place the base part of the crib sheet at the bottom of the mattress then zip on the zip-on top sheet. If baby has an accident or gets sick, simply unzip around the edges in seconds and remove without having to lift the mattress and remake the entire crib. This is a great thermometer because it’s the only thermometer that your child will ever need!? It has a dual mode where it can measure temperature via forehead (suitable for all ages) or ear (recommended for children over 1 year old). When you have a sleeping baby that you are afraid might have a temperature, the last thing that you want to do is wake up that baby to take his/her temp. Your friend will be thanking you majorly for this! The best teething toy! This banana toothbrush is made of 100% Food Grade silicone and is perfect for kids 3-12 months of age. (Dishwasher and Freezer Friendly. BPA, Phthalate, Latex, and Toxin Free.) When your friend’s little one is aching from sore gums, this product will help soothe those aches with it’s durable massaging bristles. The perfect teething toy that promotes and helps oral hygiene! I personally love the Honest Company products and this is a great gift set that you know any mama will use. With their safe products, I’m sure your friend that is expecting will fall in love! You can get creative and add some of your favorite little things to a jar, basket or box and viola! 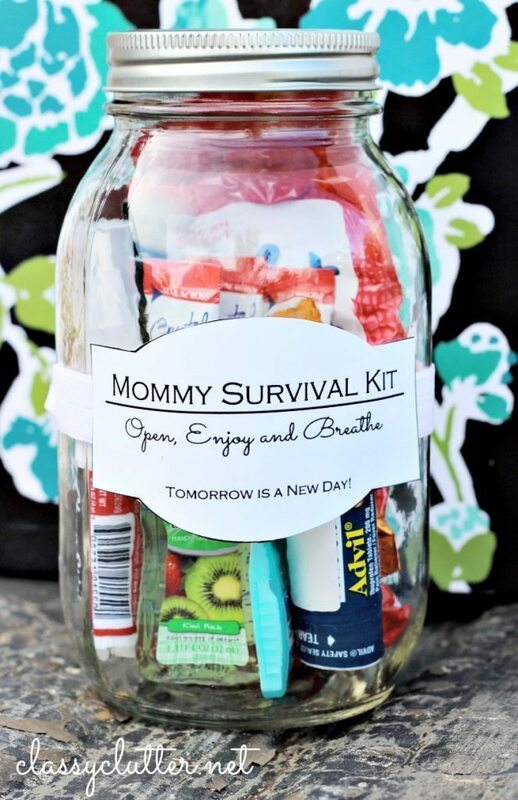 You’ve created an awesome baby shower gift. Things I would add are: chocolate, nail polish, tide pen, wet wipes, lip balm, mints, coffee gift card, under eye concealer, and deodorant wipes. At a baby shower, pretty much all the gifts are for baby (and rightfully so since that’s what it’s all about), but it’s also nice to get something for mom. She is going to be giving birth after all! Getting her this recovery kit from Earth Mama Angel Baby is an amazing gift because most new moms don’t think too much about the recovery after baby. These products will really help! I mean, come on. How cute and hilarious and REAL is this sign! Awesome gift! When you are trying to do anything to not wake up the baby, these little guys will help. Etsy has tons of them for sale or you can DIY a few yourself. Genius product! You may think I’m ridiculous, but this product is too cool. You can FaceTime easier, have an extra free hand when chatting with a friend (which is nice with a new baby), and always have quick and easy access to your phone. Let’s admit it, we all live on our phones now so this product will be something that she will definitely use. Every new parents’ nightmare is trimming their newborns’ nails. It. Freaks. Them. Out. Who wouldn’t be afraid of clipping your sweet baby’s little fingers? This is why Zoli’s Nail Trimmer is awesome. This may not be the sexiest gift or a big wow, but I promise you that your friend will use these guys often! Finding the baby’s pacifier every time it falls is a hassle. This inexpensive and super handy product makes life easier. She needs to keep hydrated! 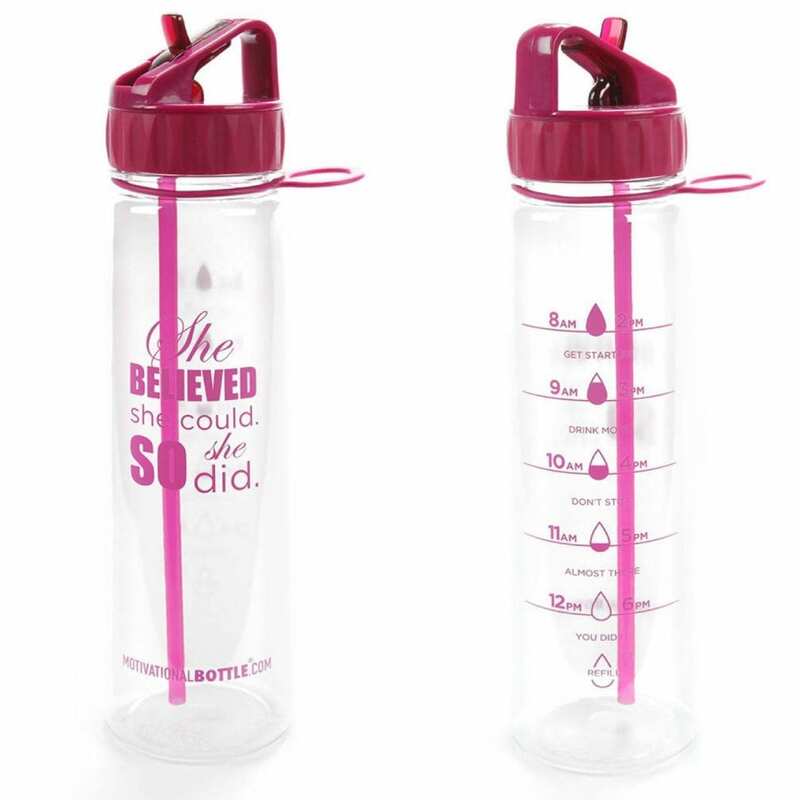 Get her a cute water bottle that you know she will love so that she can be reminded throughout the day that she needs to keep drinking. I love these plush DockATots since they’re so comfortable and multi-functional. It can be used for lounging, playing, resting and snuggling and it’s something that you can take anywhere with you. I also love that it’s easy to clean/wash and made of non-toxic and breathable materials. Two thumbs up over here! Organization is always nice to have especially since baby clothes are so tiny. These closet dividers by Lucy Darling are the sweetest and are gender neutral! I mean, duh. No explanation needed. These printed labels are seriously the greatest! So grab some bottles of wine that you know your friend will love and place these on. Best. Gift. Ever! haha! I’m just saying’. These packs and pillows can be heated or frozen which will feel so good on engorged breasts or recovery after birth. She and her lady bits will be incredible thankful. I absolutely love all of the products from Fridababy and I know that your mama-to-be friend will too. This bundle has it all and will seriously save the day. It helps with stuffy noses, gassy babies, a baby nail clippers, and a peri-bottle which will be perfect for mama after baby. Babywearing is a lifesaver and these are some of my favorite wraps and slings on the market. The mama-to-be will be so grateful to be able to hold her baby close while still having both hands free! Rather than getting her a diaper bag, get her a ToteSavvy! Diaper bags can be expensive and they are such personal choices that it can be tough to choose the right one. This is why the ToteSavvy is a great choice because it can magically turn her purses into the perfect diaper bag. LOVE! Sometimes you need things within arms reach — water, phone, keys, teething toy, pacifier, etc. So this stroller organizer can keep all of her must-haves close by. This is a great nursing cover because even if she decides that she is not going to breastfeed, she can use it as a carseat cover, a shopping cart cover and even wear it as a scarf! Also this product is really a 4-for-1! Being able to relive and cherish those brand new moments with their little one is a gift that keeps on giving. A gift card for a professional newborn photography session is once of those gifts that is truly priceless. Now this is something that you and a couple of friends can maybe pitch in on. Contact a local agency in your town or a highly recommended night nanny or night postpartum doula to come over and help take care of the baby overnight. This will allow the family to at least get one (or two) nights of rest and some help with baby chores. The best part of this gift is you can either offer your own time and make some coupons for your expecting friend or you can purchase a couple of hours from a trusted babysitter so mom can have some time to herself. Time really is precious and she will so appreciate the much needed break. This is a no-brainer. Every mama will want some pampering and a moment to herself. So whether it be a facial, massage, mani/pedi, you name it! She will love it. The very last thing new parents want to worry about is what to make for dinner (or lunch or breakfast). Set up a food delivery service where they get to pick meals of their choosing. You can do a few days, a week, or get together with friends a do a whole month or more! So setting up a meal train is also a great idea. So if you’re wanting to go the extra mile, create one of these different kits that you can read more about here and here. Some of them have items that I have already listed, but that makes it even better! I promise that your gift will be the talk of the party! What are some unique baby shower gifts that you’ve given? Anything you would add to this list?